So now that Season Three of ladder has started for Starcraft 2 I would like to mention some of the thoughts on it. For 1v1 ladder games I exclusively play Zerg (want to play random but its hard to change when you're set in the race you play). One of the major changes for Zerg in this season was the Infestor buff which changed the root duration from 8 to 4 seconds while still doing the same damage (but plus 30% to armored). This resulted in a wide spread call from Terran and Protoss players that Infestors are now overpowered and made most ZvZ games that went past the 10 minute mark into Roach Infestor Vs Roach Infestor. This can be fairly frustrating in ZvZ because it comes down to whos fungals the best and an entire army can be crushed without being able to escape. I can understand the other races frustration as well with being fungaled into oblivion, however is it overpowered? I dont really want to get into balance issues to be honest, every man and his dog has their opinion about whats too strong and too weak, but as a low master Zerg player if the fungal was changed to a slow rather than a root (similar to concussive shell) it would at least reduce the amount of people complain about Infestors and allow you get out of their fungal death grip. 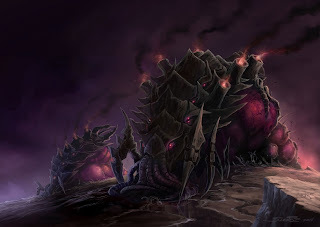 Some tips for Zerg players, at least in my league one of the way out getting out Roach Infestors battles is trying to sneak in a Hive and adding a few Ultralisks into your army. With the Ultras in front it can panic the other Zerg and it may waste their fungals (with Ultralisks being immune to roots and mind control) even at my level people forget this, and my opponent told me after my last ZvZ that he was betting his whole army on mind controling the Ultras. Another fun thing I have been doing lately is trying to send 1 or 2 infestors around their army to mind control their infestors and cast their own fungals on their army. Is a lot of fun and very effective since it takes away their chance to fungal more than you. Season Three is just getting started so we will see what this season will be like soon. My initial thoughts in ZvT is that a lot more hellion play is going to be showing up (I was having these thoughts lately, and just this weekend MLG is showing strong hellion plays, the ladder often follows pros trends so the ladder should be very painful for me vs Terran for the next couple of weeks, since I hate hellion builds so much). Anyway, here is my results for Season 2 if you want an idea how much/at what levels I play. I think its a good idea for players to keep track like this (at masters Bnet shows your losses, but its nice to see an overview on the different races too). I play more on US than SEA so I didnt get my MMR up to Master level there, it seems like SEA is harder than US honestly, but its more a population thing. Less players to fill the top makes it a bit more competitive in my opinion.